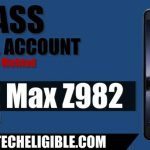 If you are unable Remove FRP LOCK ZTEBALDE ZMAX from the previous method, then i would recommend to follow this method, and i hope this method would work with ZTEBALDE ZMAX Z981, and Z982 devices. Note: If you have already accessed to “Settings”, then you don’t need to follow below steps, just skip the rest, and start following this method from the heading of “Enable Developer Mode“. -Once “Wi-Fi” connected, go back to “Welcome Screen”. -Long tap with “TWO Finger” on your Welcome screen until you get “EXIT & NEXT” option. 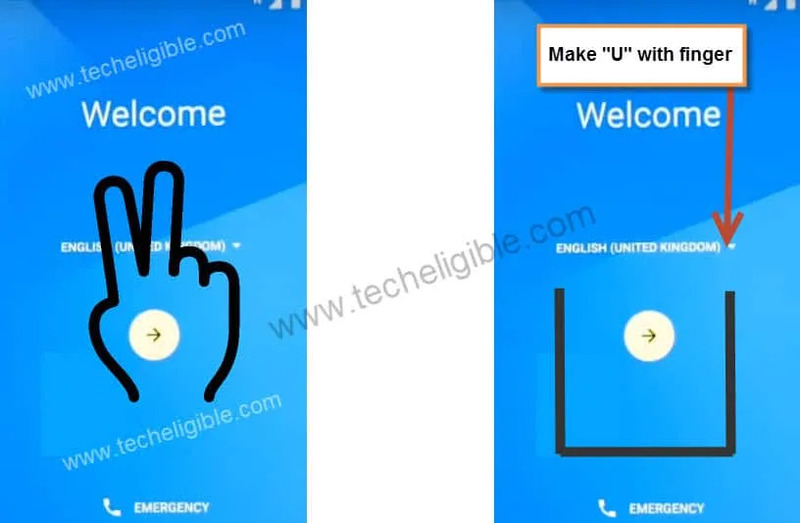 -Make “U” with your finger on “Welcome Screen”, after that you will be able to see “Google Search Bar” top of your screen. -Press & Hole (Volume UP + Volume Down) keys together until you get “POPUP SCREEN”. -Tap on “Google Search Bar”, after that tap on “NO THANKS”. -Type in search bar “Android”. -Now Select “Android Stock” from search result, and then tap on “Location Permission”, after that “Allow”. -I hope now you’ve accessed to your “ZTEBLAD ZMAX” device, but frp still exist. Follow below steps carefully to Remove FRP LOCK ZTEBALDE ZMAX. 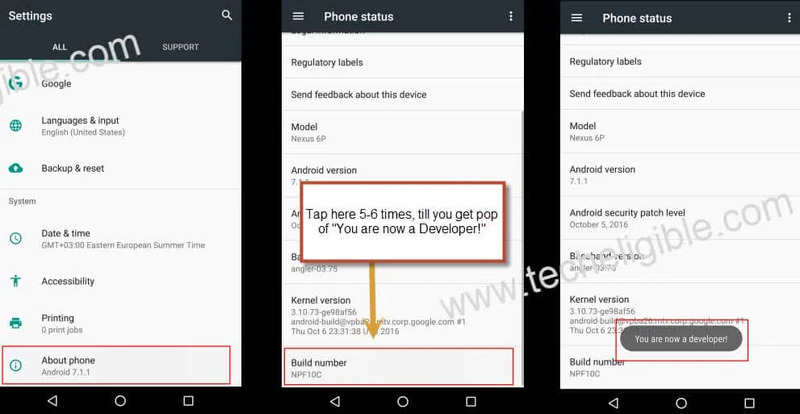 Go to > Menu > Settings > About Phone > Tap 6 Time on “Build Number”, once “Developer Mode” enabled go back to “Settings”. Go to Settings > Developer Options > Enable USB Debugging. Also Enable “OEM UNLOCK”. Note: Enabling “USB Debugging” is mandatory to Remove FRP LOCK ZTEBALDE ZMAX, because without enabling USB Debugging, Zmax device can’t be detected by GSM Flasher tool. -If the file is in “Winrar”, then extract this file. -Once you see “Quick Popup” on your screen, means you have successfully enabled hidden menu. -Now enable Diag Mode by dialing below code. -Now you have successfully enabled Diagnostic Port, this would help your device in connecting to computer, so that the below gsm flasher could easily detect your device. 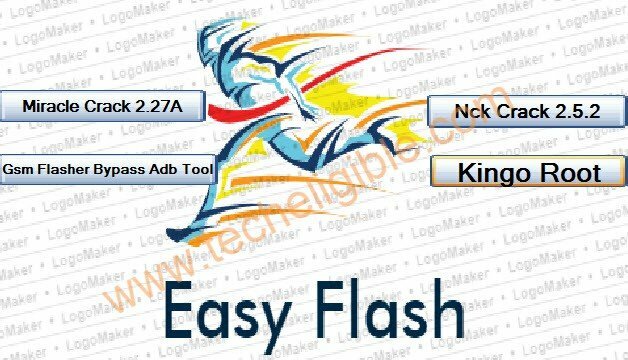 -Click on “GSM FLASHER Bypass Adb Tool”. -Connect device to “Computer” with micro usb cable. -Make sure device connected successfully, and you have enabled USB Debugging, if you get popup of usb debugging just tap on allow and OK.
-Now i hope your device will be detected in “GSM FLASHER TOOL”, and status will be “ONLINE”. -Click on “REMOVE FRP” button. That’s it, you have unlocked frp protection from ZTE ZMAX Device. Warning! 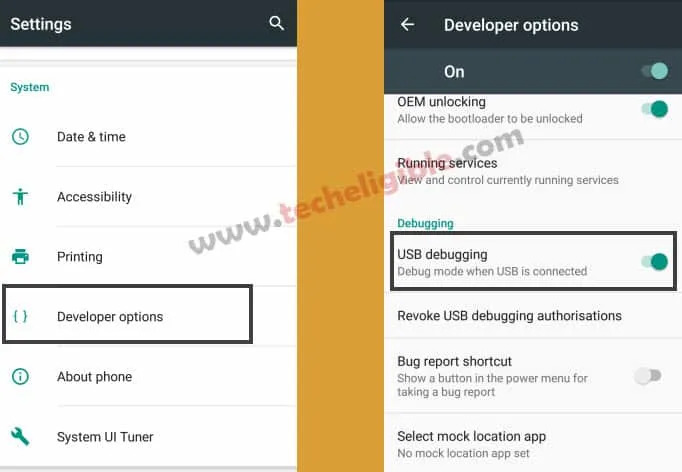 : I would recommend you to somehow “enable developer mode” and then enable usb debugging option from there, if you are unable to do that, then i guess in android 7.1.1, there is option of “Connecting to PC”, just find out that option from there, enable that one. Also install “ZTE Drivers” in your computer. Thanks for visiting us, you can ask your question in comment box, if you any problem. Note: If this flasher did not remove frp lock, then open “Miracle 2.27A” tool, and go to “Qualcomm”, and then, click on “Unlock” to unlock frp. After trying every method I’ve found online, I’ve finally figured it out how to fix this phone. Lay it on a hard surface and beat it with a hammer until you start to feel better. Once you feel better, take the phone and all of it’s parts and accessories outside and drop them into the sewer or anywhere that it can’t be recovered and won’t be seen again. After that go back into the house, take a deep breath, have a seat and find a funny movie to watch. Trust me it works miracles. im having the exact same problem with the exact same phone. ive had it for like 6 months or more and been trying since the day i got it with the frp!!! ive tried everything and different web sites and asked some of my friends that are smarter than me when it comes to this type of stuff but seems like im about to just break down and have to pay the $20 to get it unlocked since no one can figure anything out!!! im having the exact same issues. did you find a solution? Disable “Setup wizards” both blue one and green one. also disable and clear cache + calear data of “Google Play Services”, also deactivate device administrator., after that restart device, and then try again to install frp applications. what new method. i tried method you stated above ..the second dial code does not work at all. i went in ftm mode and the tool was able to recognise the phone. i click remove frp..but frp still there i am on july 2017 patch 7.1.1 can yo uplease help!! what is your android version ? if you are unable to get developer mode, then go to “Settings”, after that “Security”, and then disable “Device Administrators” from there. Also disable “Google Play Store and Google Play Services along clearing cache or data”. do same thing with “Google Account Manager as well”. and then try to enable developer mode. 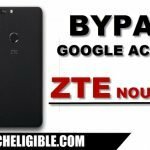 I try this but not working, i have a zte 983 with the parcher security of august. I have the ZTE Majesty PRO Z799VL 6.0 and I am unable to get in to talk back mode or get any results by doing a two finger long tap. Therefore I am unable to enable USB debugging. Is there any way around it? I have tried everything to bypass the google account verification, which I might add, my gmail account has been previously synced on the phone along with my boyfriends, but says it we have to use one of the owners accounts to get in…???!!!? Please help! I don’t know about the SWIFT Key, but there is the Assist option in the field you type the email or phone number. For some reason it doesn’t do anything when I try to click on the assist button. Amy B, on the post you commented, there is nothing like to type text and than long tap to bring assist, follow this post and then make comment regarding this post. 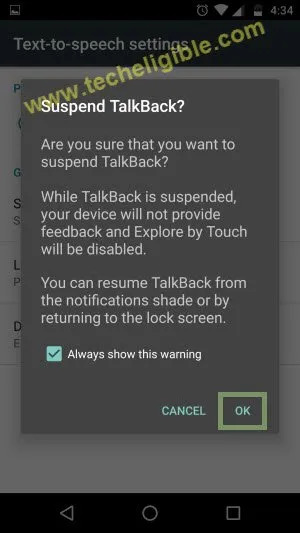 Enable talkback by long tapping with two fingers on Welcome screen, rest method can be followed from above.